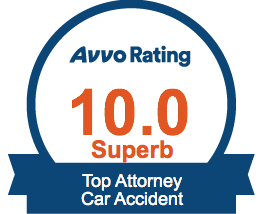 Avvo 10.0 Top-Rated Lawyer - The Pearce Law Firm, P.C. Avvo, an online legal marketplace, created its lawyer-rating system as a way to provide a brief overview of any given attorney’s past conduct and record. As a simple one-to-ten scale, Avvo’s ranking system is user friendly while providing just enough nuance to accurately distinguish the quality of one attorney’s services from another. The highest ranking Avvo will bestow upon an attorney is a perfect 10.0—a ranking of “superb.” Edith Pearce has attained this ranking, an accurate reflection of the determination and success she has demonstrated in the legal arena and the upstanding way in which she has always conducted her business. When your case requires the best the legal profession has to offer, contact the Pearce Law Firm.